One of the great things about Microsoft Dynamics CRM is the ability to configure an ADFS server to be able to login via different domains. The configuration is done through a claims trust. Once the configuration is complete, users are then able to navigate to the CRM URL and simply click which federation they want to log into. While this feature is extremely useful, the CRM Outlook client does not allow for the ability to choose domains as you would through a normal web browser. Today’s blog, however, will show you exactly how this can be achieved by making an addition to the local workstation registry. Before you begin, you will first need to know the Home Realm URL of the ADFS server you want to configure with the Outlook client. Once you have this, simply follow the steps below on the workstation that you are configuring the Outlook client for. Let’s get started! Warning: editing the registry should only be done by an experienced user as system errors can occur if done incorrectly. If you are not comfortable using the registry editor, it is recommended that you seek additional assistance from your IT staff. 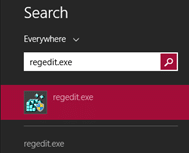 To find the registry editor, search for ‘regedit’ on your device and then open. 2. 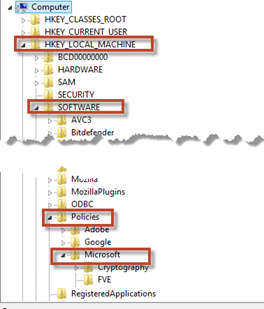 Open the registry key following the path HKEY_LOCAL_MACHINE\Software\Policies\Microsoft. 3. Right-click on Microsoft, select New Key, and add MSCRMClient. 4. You should then see the MSCRMClient under Microsoft. 5. 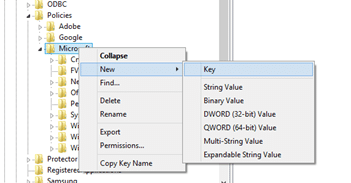 Right-click on MSCRMClient, select New and then String Value. 7. Right-click on HomeRealmURL and select Modify. 8. Enter in the Value data of the federated ADFS. The URL must end in /adfs/services/trust/mex. 10. To configure CRM for Outlook, follow the steps included in the blog Install Dynamics CRM 2015 for Outlook. *Please note that in an enterprise environment it is suggested that the value be set through a group policy. That’s all it takes! If you need further assistance on how to accomplish any steps or instructions in this blog or if you want to learn more, you can view the official documentation from Microsoft or seek help from our CRM support desk.